Nick Raithel interviews Michael J. Flight on his “7 Rules For Real Estate Investing”. They go deep into Retail Real Estate and shopping centers but also discuss hard earned wisdom from a 30+ year career running several businesses and personal development. Protect The Downside – Buy at or below replacement cost. Low Price Per SF. The 7 Rules For Real Estate Investing show interviews today’s most successful real estate investors. Interviewer Nick Raithel has the episode guest distill their career down into 7 clear rules for real estate investment. As a bonus, some guests even disclose hard earned life lessons. On each episode you’ll hear a different guest with their own set of 7 rules. Past guests have included: Hunter Thompson; Victor Menasce; Jeremy Roll; Trevor McGregor; Gene Guarino; Tamar Mar; Richard Wilson; M.C. Laubscher; Dave Zook; Marco Santarelli and many others. 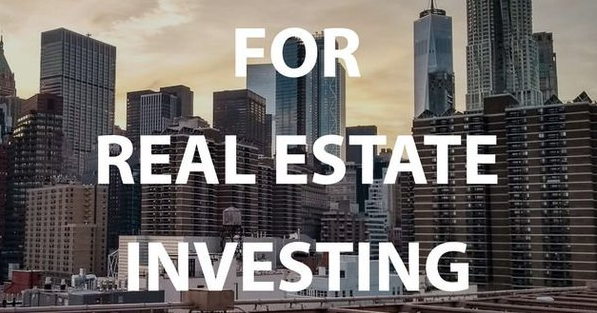 Topics discussed are Shopping Center and Retail Real Estate investing (of course); Multifamily (Apartment Building Investing); Flipping Houses; Wholesaling; Mobile Home Investing; Loans; Notes;Cashflow; Financial Independence; Financial Advice. Nick Raithel is the creator of the “7 Hour Book” a powerful marketing tool he developed at Content Corps. The 7 Hour Book/Content Corps assists entrepreneurs and business owners write books as a marketing tool. And …. The whole book is completed in only 7 hours of the clients time. Nick works with real estate investors, coaches, dentists and entrepreneurs or anyone that wants to demonstrate their personal experience. Authors can then leverage the power of the book by increased awareness in the right circles and gain success with new leads, meetings or speaking opportunities. Nick and his team help you with the following: How to Break Through the Clutter; How to Craft Your Story; How to Attract an Audience; How to Turn Your Story into a Book. I went to Concordia College because I thought I wanted to be a Lutheran pastor. The Greek and Hebrew language is where a sign from God that I should not be a pastor.! And then in about my sophomore year of college my brother and I attended a “nothing down“ Seminar. We were extremely excited about how we could build a fortune in real estate. When we showed up In the local brokers office we were disabused of that notion. But I got the bug for real estate and while still in school obtain my brokers license and got a job rehabbing apartment buildings for a local investor Merrill Becker. Colonel Becker went on to his reward this year living to a wonderful age. Upon graduation, Merrill directed me to go into commercial real estate. Surveying the options I saw that you could do multiple deals with retailers expanding into a market like Chicago. That sounded a lot better than constant cold calling for office or industrial tenants. Protect The Downside – Buy at or below replacement cost. Low Price Per SF. Replacement costs in most markets are around $125-$200 per square foot. Anything at or below $100 will get a second look from us Protect your lenders downside, they will appreciate being in the deal further below replacement cost. You Have to Add Value – The main rule for success in life is: Are YOU adding value? Are you adding value in your relationship with God? Are you adding value to your family? Are you adding value in your community? Are you adding value for your investors? Are you adding value to your tenets? Can you and are you adding value to charitable organizations or some form of public service? You are born a Human Being – you are an asset when you are a Human Doing. Grocery stores, Unique restaurants or clusters of restaurants, department stores like Nordstroms or Walmart/Target, or discounters like TJ Maxx and Ross, smaller markets these could be a dollar store or farm store (Tractor Supply). And the defense would be service types of tenants which compliment and also fill holes in your line up. Retail leases have very specific clauses not seen in other areas of law including percentage rent, co-tenancy, exclusive uses, prohibited uses, triple net charges (real estate taxes, insurance, common area maintenance). Leasing – almost all of the value created in retail real estate is through leasing. A lease with a national tenant can get you the financing or the additional fee price on your disposition. A bad lease can also destroy the value of your shopping center or retail real estate for a very long time. For example, a gross lease where the real estate taxes at some point exceed what the tenant pays in rent. A good leasing agent, broker or leasing representative I can make or break your project based on their knowledge of merchandising and their relationships with the tenets you want and need. Financing – we have been privileged to work with a few great lenders from banking relationships and smaller projects to correspondent representatives for insurance companies in structured finance funds. A great financing representative knows which lenders are in the market to lend on the investment/project you were looking to create. Operations – Are the relentless execution i’ve continually improving and maintaining the property. Accounting, property management, redevelopment and construction are all items that cost money but can save you money in the long run. I like it in property management and property accounting to having a roof on the property: it is expected And yet something people will not pay extra for but if you don’t have it or if it is bad it can cost you a lot of money. We have also been able to add dollars to not operating income by going in and cutting expenses where appropriate or rightsizing staff levels. Experience – this will probably sound self-serving but retail real estate is one of those areas in investing world where takes a little longer to get the proper experience. That experience includes knowing how a retailer operate their business and how they make money to marketing to a very important skill which is dealing with community groups and local politicians because the visibility and financial impact on the community is where retail project are located. Keep Learning – continually expand your mind, learn history, economics, great literature, philosophy and theology. It will make you a better investor, better citizen and better human being. Become – Do – Have = most people are Have – Do – Become which gets it backwards. We have been reinventing our company in 2018 in an attempt to broaden our investor base from predominantly institutional investors to include more individual accredited investors. Institutional are more like B2B and individual investors are more like B2C. We have been investing a lot of time with educational materials and trying to implement systems designed to provide an excellent investor experience. We have also been underwriting a tremendous amount of deals but we have been extremely selective trying to find The right type of investments that will not only provide a solid return but also mitigate downside risks.